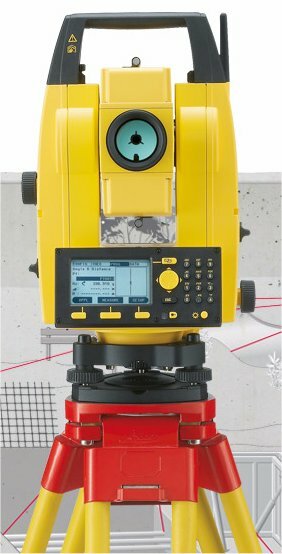 The Leica Builder 503 Total Station is a relatively easy-to-use instrument, but has exceptional accuracy: 3 seconds of angle horizontally and vertically. See the SFSU Guide for a shortened version of the manual focused on our uses, which are going to be for capture of survey points, referred to as an "As-Built" survey (the instrument also does "Layout" for construction.) The full manufacturer's manual is also included here, but note that where it refers to "THEO" (theodolite) mode, the instrument calls this "TRANSIT" mode. While a theodolite is a more accurate version of a transit, the total station is still a theodolite (a very accurate one) and they just decided to call it TRANSIT in the interface. Yellow and Red Flat Top. Leica Charger GK211 diagram -- what the lights mean.